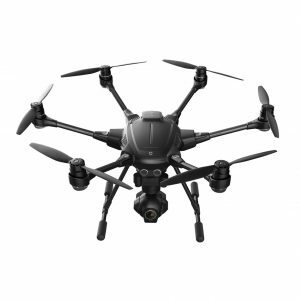 The Guardian Quadcopter with Sony QX100 Camera is a entry level Ready-to-Fly (RTF) PRO system, the Draganflyer Guardian. 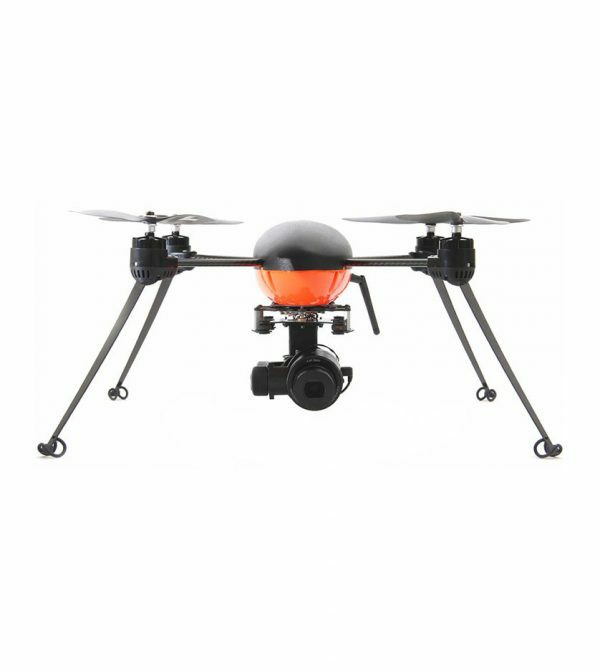 The Draganflyer Guardian package includes everything you need for turnkey aerial photography and video. The Draganflyer Guardian is the perfect UAV solution for Public Safety or Professional applications, who require a small, powerful system. 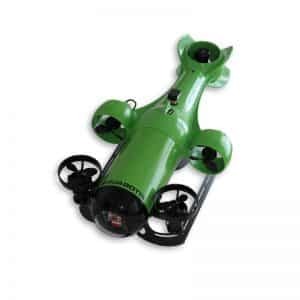 The Draganflyer Guardian is a small, high quality helicopter constructed from carbon fiber and injection molded plastic. The aircraft is sold as a “turn key” system with a rugged transport case and is Ready-to-Fly (RTF). 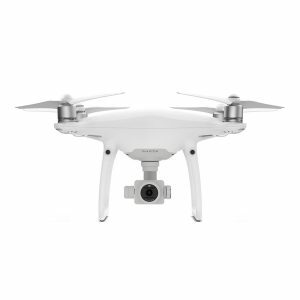 The basic system includes the new payload quick release system, the Sony QX100 camera system, 2-axis brushless mount, digital video down-link, Draganfly handheld controller and everything you need to get flying. 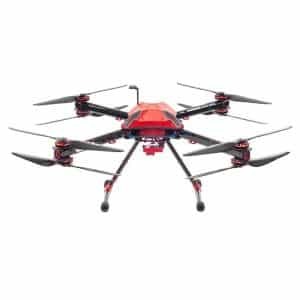 The Draganflyer Guardian is an affordable high-performance UAV solution for law enforcement, firefighting and emergency responders. Crystal-clear real-time data that’s proven to save lives, time and money. Our proven track record has made us the number one choice for law enforcement UAS systems. The flight system has a solid track record as a proven performer, developed from the ground-up by Draganfly Innovations. 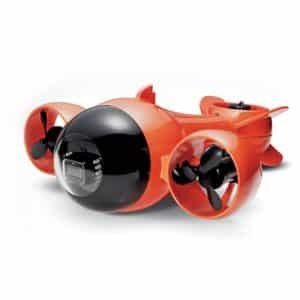 Although it\’s no bigger than some of our earlier models, Guardian features larger motors, larger battery, and a greater payload capacity with more sophisticated payload features that deliver high quality results. This is not a mass produced product stamped out of a production line but rather, a hand crafted aircraft built from carbon fiber and injection molded parts. In addition to the hardware engineering, at Draganfly we also design our own electronics and write our own software as well. Whoever thought learning could be so much fun! Before you receive your aircraft, we encourage you to practice with the Lil Draganflyer practice system and take it slow running through the various flight drills described in the Guardian manual. When you\’re ready to start flying the Guardian, fly without a payload at first to develop your skills before flying with a camera payload system. The beauty of a helicopter is that you can learn to fly a quarter of an inch at-a-time. The Guardian features our quick connect payload mounting system eliminating the need for cables between the helicopter and payload. 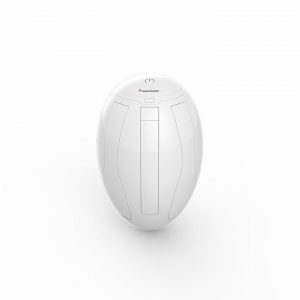 The benefit is a quick and simple payload installation combined with a digital video downlink solution that provides excellent range with the Sony QX100, 20mp w/3.6x optical zoom payload. 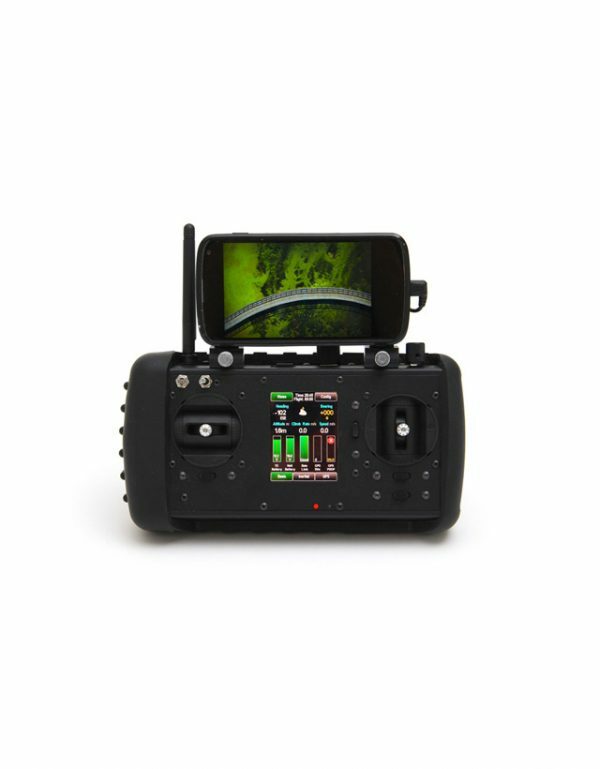 The QX100 is integrated into the system to provide remote zoom control and remote shutter, directly from the HHC. Take it even further by purchasing an optional GoPro Hero 3 2 axis brushless stabilized gimbal or a 2-axis stabilized QX100 camera mount. And although they are relatively expensive the helicopter is very capable of carrying a FLIR thermal imaging camera for industrial inspections or search/rescue work. Both the hardware and software of the advanced SteadyFlight autopilot system was designed in-house by the Draganfly team. Featuring 11 on-board sensors the SteadyFlight system is constantly monitoring the alttitude of the aircraft and in real-time providing control and telemetry data to the handheld controller. This is a high quality Ready-to-Fly system designed and built in North America, constructed from Carbon Fiber and injection molded plastic. Draganflyer Guardian Helicopter Airframe including 4 brushless motors, 4 durable nylon rotor blades, main circuit board, and landing gear. Two 4 cell, 2700mAh rechargeable lithium polymer batteries. Standard Handheld 2.4 GHz Transmitter with color OLED touch screen display. Digital Video Basestation and Receiver for receiving and viewing digital video from the helicopter. Sony QX100 digital still camera with HD video capability and 2-axis stabilized mount. 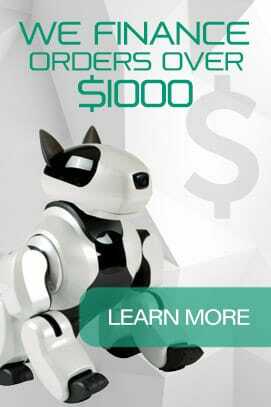 Thunder Power RC 610C-ACDC lithium polymer battery charger, balancer, and power supply. Rugged and lightweight hard shell transport case. LipoSack Fire Retarding Lithium Polymer Battery Charging & Storage Safety Bag. Pair of spare rotor blades. The ergonomically designed controller provides precise aircraft control, with real-time aircraft telemetry displayed on a direct sunlight viewable OLED touch screen. 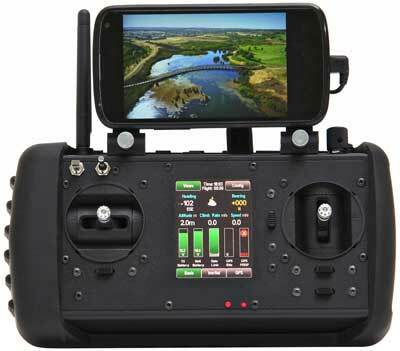 The controller also provides audible alert tones, camera zoom, shutter controls, aircraft trim tabs, and an internal rechargeable LiPo battery. The custom controller from Draganfly Innovations provides all the information you need at your finger tips. Small, light weight, and very rugged. The Draganflyer Guardian is an excellent performer for industrial inspection, agriculture, mapping, public safety, or general purpose aerial photography and videography applications.